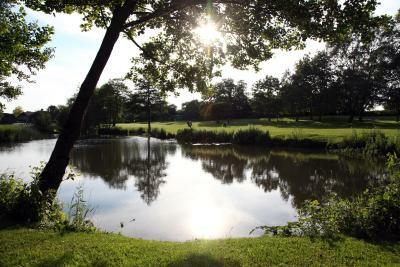 Lock in a great price for Barnham Broom Hotel, Golf & Spa – rated 8.7 by recent guests! 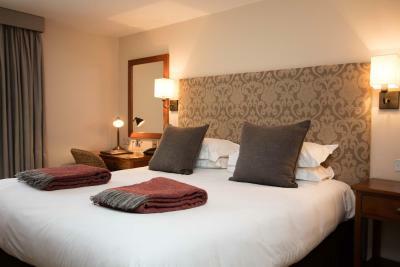 Clean & comfortable, all staff very friendly & accomodating. Even had a special dessert as it was our Anniversary. Nice personal touch. Bed very comfy. Excellent breakfast options and well cooked. Top notch full English breakfast. Excellent bar. Getting there- the English roads are very narrow and you really must be careful. This is really the only tricky thing about it. I will go back, but best not to arrive after dark. 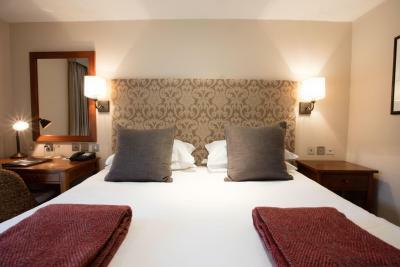 the beds were extremely comfortable and the linen on the beds crispy and thin, lovely! Stain on toilet wall, apparently rate didn't include hot breakfast but didn't mention that in confirmation booking and almost had to pay twice as it didn't show I had paid previous to stay. Disappointed as previous stays have been good. 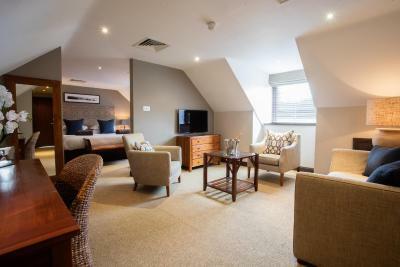 Everything was brilliant, the bed was comfy breakfast was lovely, dinner was amazing, the room was so clean and spacious, bathroom had a bath and a shower, heated towel rail was a nice touch, staff were super friendly and helpful. 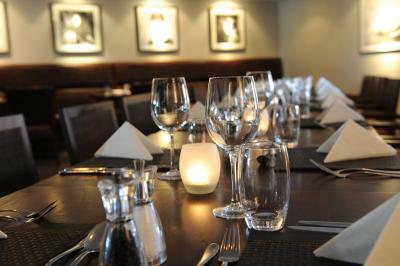 Service all round was excellent, especially the staff working Friday night in the restaurant. The Food was delicious and I had all the specials, my favourite was the seafood linguine, so beautifully creamy. We were recommended by one of the waitresses a rhubarb & ginger Gin with our g&t, thank you so much, it was so nice. The Bedroom was delightful, so clean and smelled lovely. 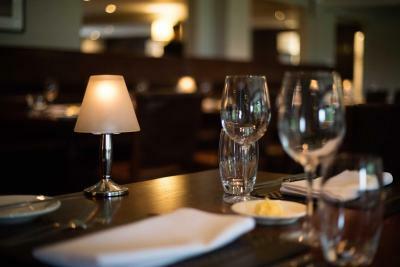 Barnham Broom Hotel, Golf & Spa This rating is a reflection of how the property compares to the industry standard when it comes to price, facilities and services available. It's based on a self-evaluation by the property. Use this rating to help choose your stay! 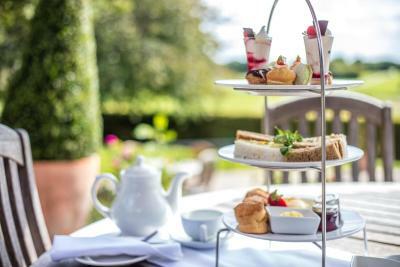 Ideally located on the outskirts of Norwich just off the A47, Barnham Broom is set in 250 acres of Norfolk countryside, this country hotel has an award-winning restaurant and relaxation facilities, including a spa with heated indoor swimming pool and 2 golf courses. 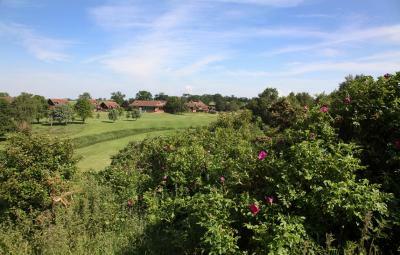 With its tranquil, peaceful setting and impressive leisure facilities, Barnham Broom is perfect for those looking to relax and unwind. 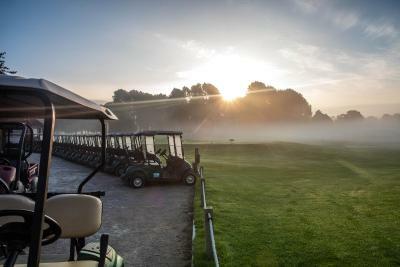 The 2 stunning 18-hole championship golf courses offer some of the finest golf in Norfolk, while the fabulous spa is great for a spot of pampering and a little well-earned indulgence. 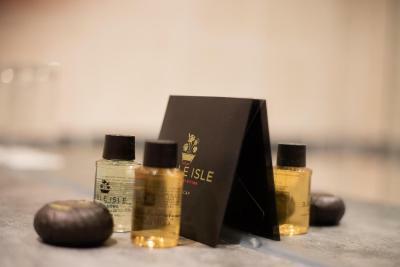 The spa offers a world-class range of luxurious treatments, to help you relax, refresh and rejuvenate. 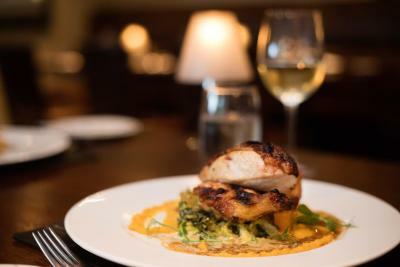 The on-site restaurant has been awarded 2 AA Rosettes for the outstanding preparation of its food and the good quality of the ingredients it uses. 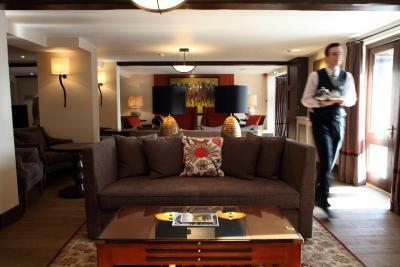 The 46 stylish guest rooms and suites offer modern luxury combined with traditional charm. 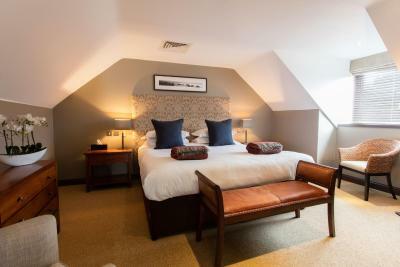 Just 9.9 mi from the heart of Norwich, but surrounded by some of Britain’s most beautiful countryside, the hotel has a great location for a relaxing and restorative break. This property also has one of the top-rated locations in Honingham! Guests are happier about it compared to other properties in the area. 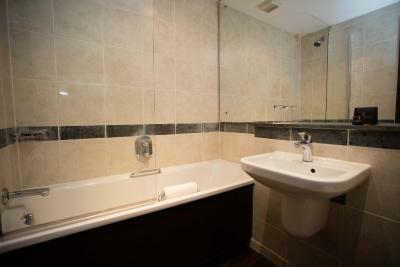 This property is also rated for the best value in Honingham! Guests are getting more for their money when compared to other properties in this city. 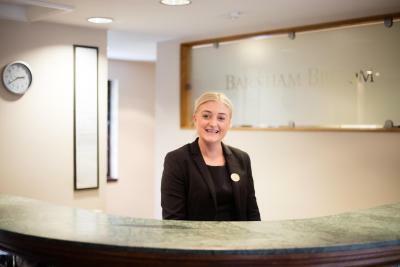 When would you like to stay at Barnham Broom Hotel, Golf & Spa? 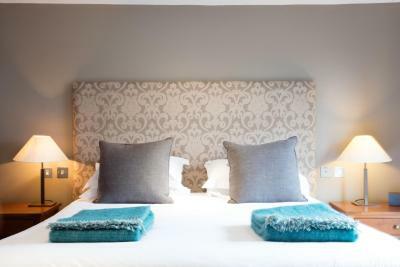 The standard double/twin rooms feature either a double or 2 single beds, and private bathrooms containing a bath and shower with complimentary The White Company toiletries. Additional amenities include free WiFi, a flat-screen TV with satellite channels, air-conditioning, a refrigerator, a safe and tea.coffee making facilities. 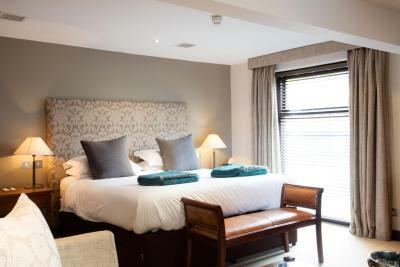 The single room features either a single bed, and private bathrooms containing a bath and shower with complimentary The White Company toiletries. The superior double/twin rooms are furnished with a super king-sized bed or 2 single beds, and private bathrooms containing a bath and shower with complimentary The White Company toiletries. 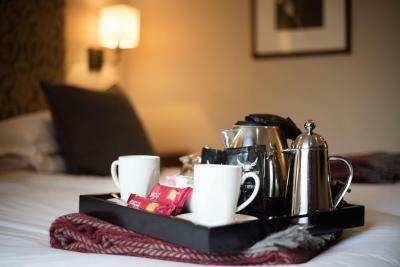 Additional amenities include free WiFi, a flat-screen TV with satellite channels, air-conditioning, a refrigerator, dressing gowns, a safe and tea/coffee making facilities. 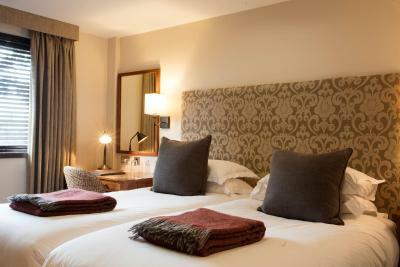 The superior single rooms are furnished with a single bed, and private bathrooms containing a bath and shower with complimentary The White Company toiletries. Larger than superior rooms, the junior suites offer more living space for guests. 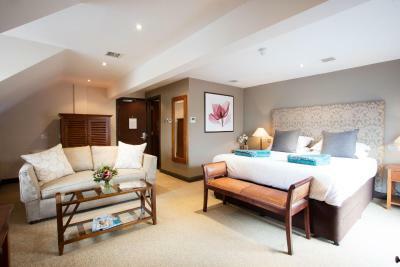 The suite includes a super king-size bed and a sofa bed, and private bathrooms containing a bath and shower with complimentary The White Company toiletries. 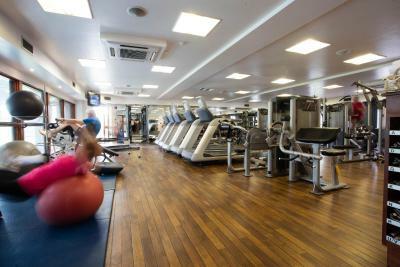 Additional amenities include free WiFi, a flat-screen TV with satellite channels, air-conditioning, a refrigerator, dressing gowns and slippers, a safe and tea/coffee making facilities. Children under the age of 10 can be accommodated in this room for a surcharge. 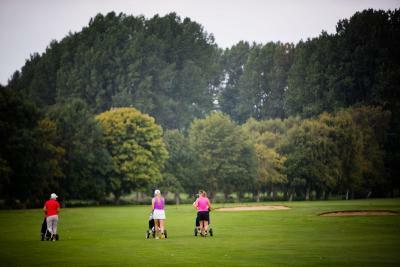 House Rules Barnham Broom Hotel, Golf & Spa takes special requests – add in the next step! 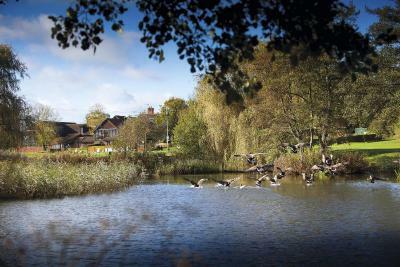 Barnham Broom Hotel, Golf &amp; Spa accepts these cards and reserves the right to temporarily hold an amount prior to arrival. 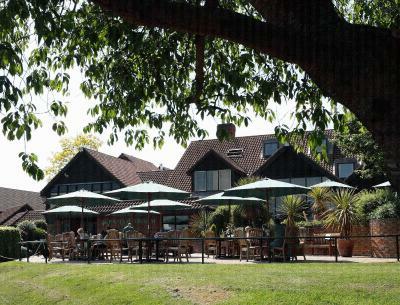 Barnham Broom Hotel, Golf & Spa accepts these cards and reserves the right to temporarily hold an amount prior to arrival. Only a poor continental breakfast when you have paid a lot of money for a room is a poor show. Food was ok, but nothing exceptional at all - in fact, everything was ok, but nothing exceptional. Was really disappointed about the breakfast, we went down it wasn’t busy the staff could see we were waiting but nobody showed us to a table so after 10 minutes of standing there we decided to seat ourselves...again the staff saw us seat ourselves, we waited for someone to take our coffee order and 30 mins passed so we had to call someone to get us a coffee.... we also found it odd that we had to pay for a coffee that it doesn’t come with your breakfast like most hotels. 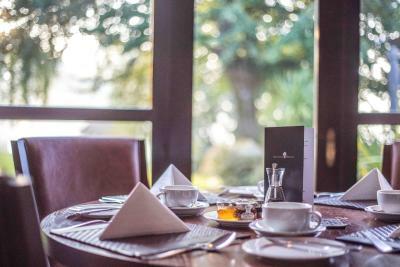 Our main issue was how we were treated at breakfast very poor customer service when there was only a few guests there. Would have been nice to check in a little earlier, we unfortunately ran out of time to use the other facilities. 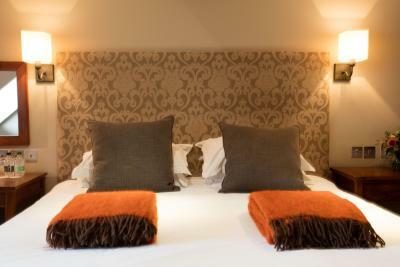 Great location, spotless rooms, comfy bed, welcoming and friendly staff. The Breakfast option was not great. 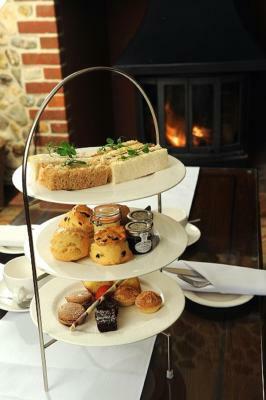 All bookings should include the full english breakfast as well as continental option and not charged extra ! Even when staying in London hotels this is always inclusive! Swimming pool very small and could do with refurb, holes in the ceiling noticed. Also if you are there for a spa day not much else to do other than have a treatment or sit round pool area. Price for food and drink was very high, not really what I would call value for money i'm afraid. Breakfast was ok. Room was clean and comfortable. Treatments in Spa were lovely and not too badly priced. 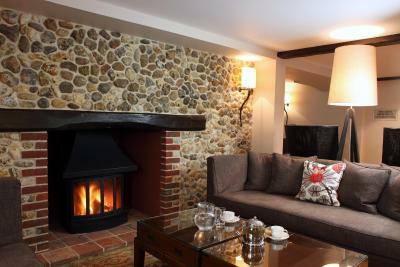 Everything was superb as usual, bed so comfy room warm , staff great.lovely breakfast. My husband took me away for my birthday, so I was very excited about our trip. Firstly, the pool was very small and needs updating, the photos makes it look a lot bigger! 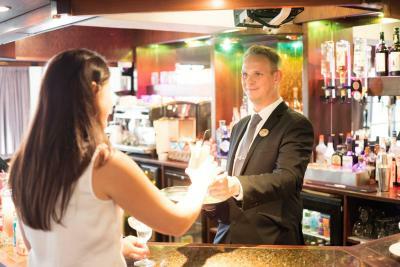 Unfortunately, you have to walk through a busy bar (full of golfers) to access it, which is quite awkward trying to get past customers waiting st the bar! As it was my birthday we ordered room service, we looked at the available menu. 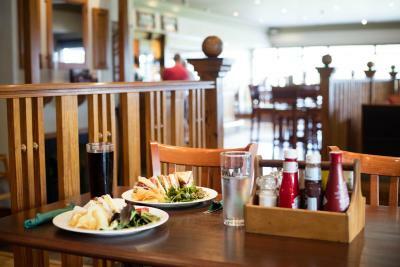 We only wanted paninis but we’re told the chef had gone home and the electrical appliances had been switched off, the person I spoke with was abrupt and very to the point! (our menu stated 24 hours room service) . Eventually, my husband asked for a cray fish sandwich and I asked for cheese and salad, a few green leaves appeared and that’s it!.... OMG we were shocked with the poorly prepared sandwiches!! This was basically the same scenario with ordering cocktails for our room, we had to go to reception to pay for them, even though they had my card details on file!! So after receiving poor sandwiches, both my husband and myself were famished and eagerly awaited our breakfast this morning!! ...... very disappointing! We paid £120 for our room including breakfast, to be told if we wanted an English breakfast we had to pay an extra £8-10!!! 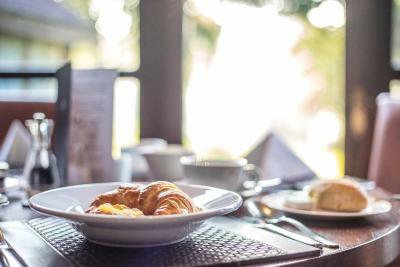 The continental breakfast was very poor, with one dome plate with some ham, salami and a few pieces of cheese, a few danishes, cereal and fruit. Needless to say we hardly ate anything and left to collect our bags. We were very unhappy with the majority of our stay. We were welcomed by the receptionist who was very polite. 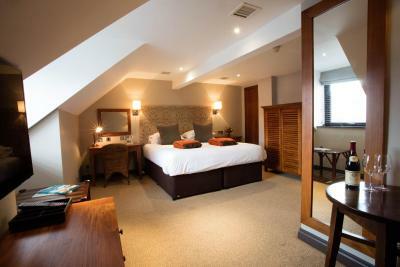 The room itself was lovely, very comfortable and clean, sorry that’s about it! Breakfast included in price was very basic. Had to pay to upgrade to regular breakfast. Superb rooms with very comfortable beds.